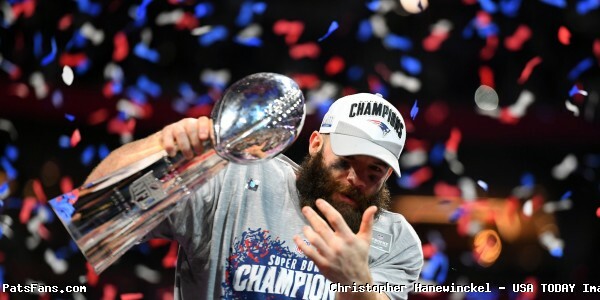 This entry was posted in Uncategorized and tagged Patriots on February 13, 2019 by Russ Goldman. 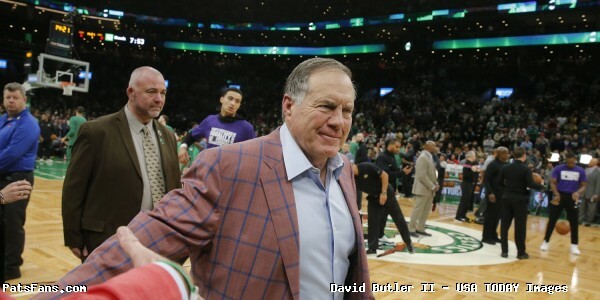 This entry was posted in Uncategorized and tagged Bill Belichick, Los Angeles Chargers, Patriots, Philip Rivers, Rob Gronkowski, Tom Brady on January 9, 2019 by Russ Goldman. The New England Patriots head to Miami to take on the Dolphins on Sunday and would love to exorcize some South Florida demons that have plagued them down there. Like a week ago, this game is important for both teams. 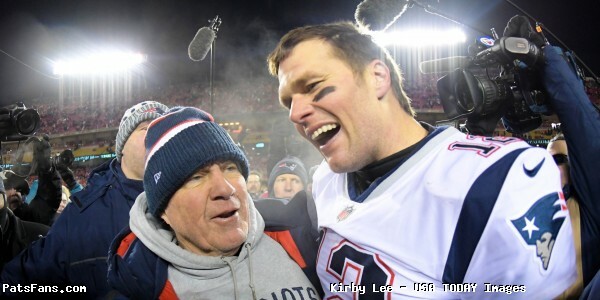 The Patriots want to at least keep the #2 seed for the time being with the Houston Texans having the same record where the Patriots own the tiebreaker having won head-to-head. And they’re just a game behind the Chiefs for the #1 seed, also with a tiebreaker in hand. Miami at 6-6 is still very much in the Wild Card hunt but has a rough road if they want to make up any ground. 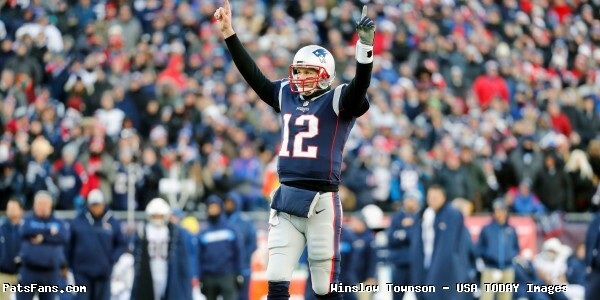 Following the Patriots, they have to go to the Minnesota Vikings, the Jacksonville Jaguars before finishing up on the road in Buffalo. The Patriots rookie running back is a key part of the New England attack and the go-to guy in the running game. On the season Michel has carried the ball 144 times for 649 yards (4.5-yard average) with five touchdowns. He’s facing a Miami defense that is allowing 144.7 yards per game and 5.0-yards per carry this season. Michel had his coming out party against Miami in Foxboro Week 4 when he carried 25 times for 125 yards and a 10-yard touchdown. While the Patriots will probably use all three running backs heavily in this one, with Rex Burkhead and James White in the passing game, Michel should be a key component in the offensive game plan this week against a team that is struggling to stop the run. 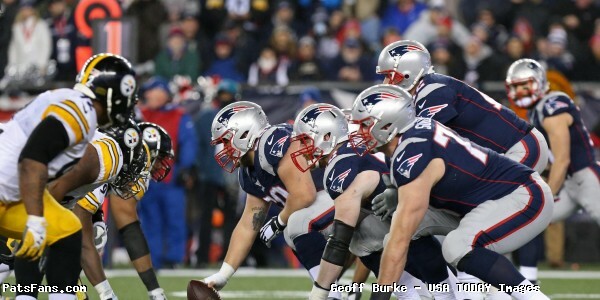 The Patriots best defensive lineman has been outstanding this season. And this week they’ll probably be moving him to the left side to attack what has been the Dolphins weak spot, the right side of their offensive line. Setting the edge will be important this week with both Kenyan Drake and Frank Gore in the backfield for Miami and Flowers has been the best at doing that for the Pats all season. 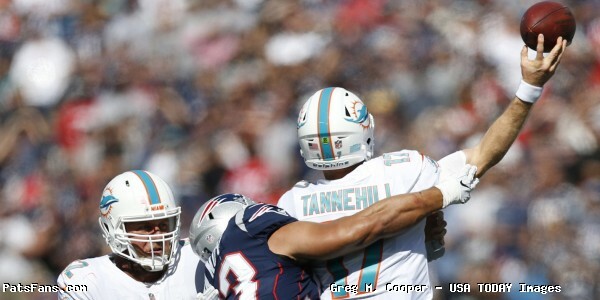 Miami has given up 31 sacks on the season and they’ll have to bring pressure on Ryan Tannehill to get him to get rid of the ball quickly and hopefully force him into making some mistakes. Flowers has notched sacks in three of the past four games and could be in line for another big game this week. Last week, Miami RG Jesse Davis gave up a pair of sacks, was flagged for holding as well as a false start. 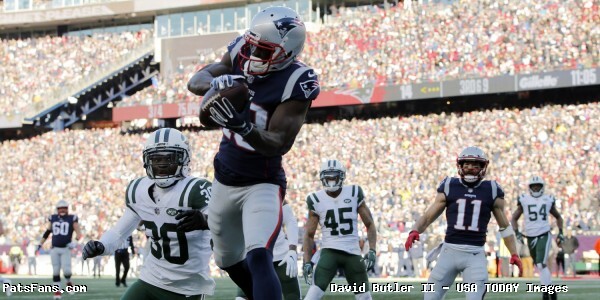 The Patriots big wide receiver is someone opponents have to account for him on every play, given his size and speed. With Xavien Howard out this week with a knee injury, Gordon’s role may become much larger this week as the Dolphins will have to shuffle personnel around to cover for their ball-hawking corner. Gordon will draw either Minkah Fitzpatrick or second-year UDFA Torry McTyer and they are matchups that Tom Brady will be testing out early in this one. Gordon has been solid for the Patriots since arriving in mid-stream this season but has only had two 100-yard games, Chicago (4-100) and Green Bay (5-130-1TD). Could this be #3 for him? Gordon wasn’t part of the game plan until late in the third quarter last week against Minnesota before ending up with 3 catches for 58 yards, and a score as well as drawing a big pass interference penalty. We expect that will change this week. The Patriots under the radar linebacker doesn’t have that concern when it comes to the Miami Dolphins. Dolphins coach Adam Gase called Van Noy a “nightmare for us” the past two seasons. And indeed Van Noy, when he’s been in the lineup has been exactly that when facing the Dolphins. In the win in Foxboro in 2017, Van Noy had six tackles, a sack, a tackle for a loss, two QB pressures and a QB hit. This year in the 38-7 win in Week 4, four tackles, two pressures, a QB hit, and a fumble recovery. It is interesting to note, that Van Noy was injured and missed the late season game in Miami last year. Doug Kyed from NESN reported that Gase said that Van Noy on their radar. 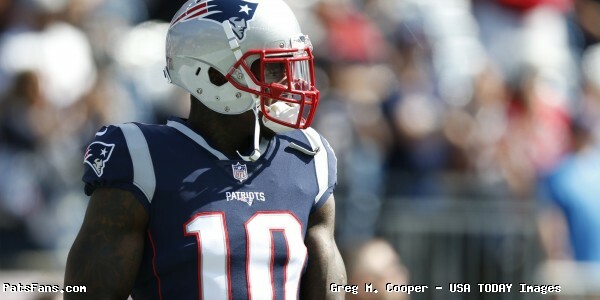 The Patriots wide receiver has kind of been the forgotten man in the Patriots offense in the second half of the season. 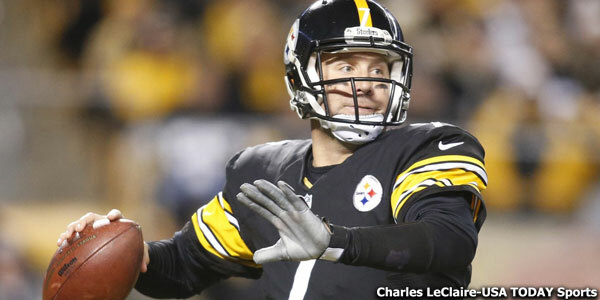 He went thru two straight games without being targeted at all. In the last two games, Hogan’s been targeted twice with two catches in each. And although it seems like his production is way off his previous seasons, it isn’t really. If Hogan can average two catches or more for the final four games of the season, he’d be right about the same production he’s been in the past. We wrote that he may be an “X-Factor” in the offense this week. With Miami banged up across their roster and missing Howard in their secondary, it puts more pressure on the backup players. The trickle-down effect means that Hogan could be facing lesser competition with the Dolphins top defenders worrying about Gordon, Julian Edelman, and Rob Gronkowski. He could be in line for a game like he had against either Kansas City or Chicago in back-to-back weeks where he had four catches for 78 yards or six for 63 respectively. One area where they’ve not targeted Hogan or Edelman as much this season is in the red zone. Especially that play along the back of the end zone. This may be a perfect time to dust that one off. 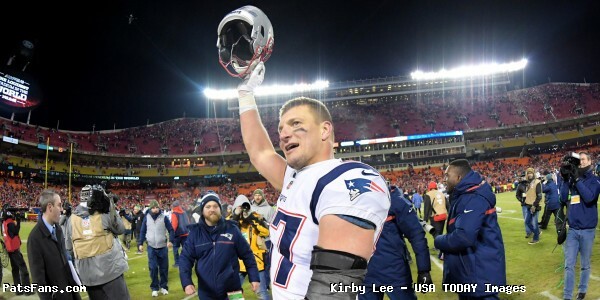 This entry was posted in 2018 Patriots Regular Season, NFL Commentary, NFL News, Patriots Commentary, Patriots Film Room, Patriots News and tagged Bill Belichick, Chris Hogan, James White, josh gordon, Julian Edelman, Kyle Van Noy, Miami Dolphins, New England Patriots, NFL, Patriots, Patriots edge rushers, Rex Burkhead, Rob Gronkowski, Sony Michel, Tom Brady, Trey Flowers on December 8, 2018 by Steve Balestrieri.